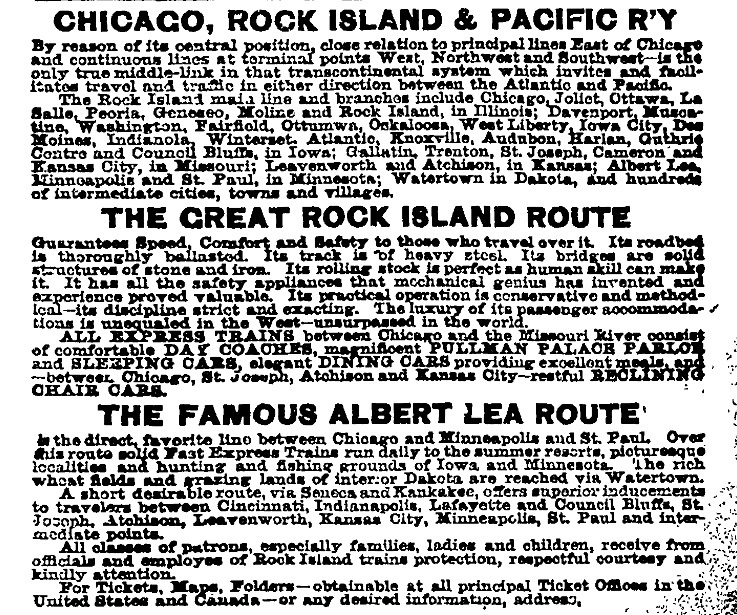 In the late 1800s residents of Iowa could hop on a train and get to almost all corners of the state plus more on the Chicago, Rock Island & Pacific Railway passenger rail system. 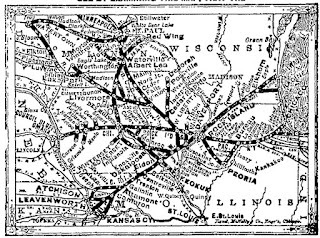 Similar services were available in the Coulee Region with a passenger rail system that connected La Crosse with Viroqua and other points south and southeast and even La Crosse with Hokah, Houston, Rushford, Lanesboro, and Fountain. At the turn of the twentieth century, electric trains started helping commuters and farm goods get from rural communities to jobs and commerce centers. 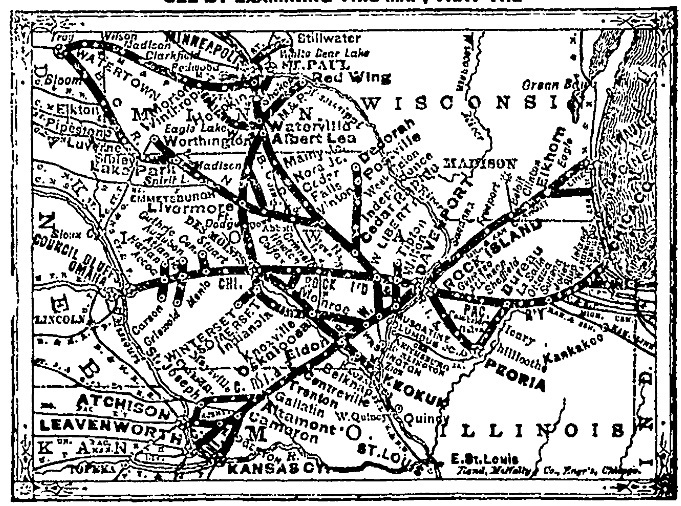 The InterUrban Railroad in Iowa, an electric passenger rail line founded in1907, helped my grandfather get from his rural home north of Des Moines to his cement plant job in the city, for example. "During the 20's it did run 9 trains a day between Des Moines and Perry and from Des Moines to Colfax, a resort area." Today, our pitiful old chug of a public rail service, Amtrak, valiantly carries on with limited service (compared to most of the rest of the world), ancient equipment, and delays caused in part by continual competition with freight. Nevertheless, last year was a record setting high for Amtrak and efforts are underway locally to have a second daily Empire Builder (Chicago to the west coast) stop in La Crosse. Here's what we are facing from the Republicans determined to "get [government] down to the size where we can drown it in the bathtub." What about D Trump's BIG INFRASTRUCTURE talk? Not so fast. As the National Association of Rail Passengers warns, WHITE HOUSE BUDGET WILL KILL AMTRAK SERVICE. All Aboard Wisconsin!, in its most recent newsletter, urges us all to act now. Here's what they say (with contact info). “Same Old Stuff – Different Day”. Federal Transportation Budget Proposal Disembowels Amtrak, Cuts PublicTransit. To coin a different cliché, “Play it again Sam” might be the theme for the Administration’s Fiscal Year 2018 Federal Transportation Budget. A near copy of the proposal that was forwarded for the balance of the 2017 FFY, a proposal soundly defeated in both houses of Congress; to no-one’s surprise, but great disappointment, the proposed Federal 2018 Federal Fiscal Year budget, which would go into effect on October 1, 2017, repeats the same destructive proposals: the elimination of all Amtrak long-distance intercity trains, leaving only the Northeast Corridor and state supported corridor services such as the joint Wisconsin-Illinois Hiawatha, Illinois “Lincoln Service”, Michigan’s state supported trains, and Minnesota’s proposed “Northern Lights Express” Twin Cities-Superior-Duluth service as the only passenger rail services available. Current stations at Watertown, Columbus, Portage, Wisconsin Dells, Tomah and La Crosse in Wisconsin, as well as Winona, Redwing and St. Paul in Minnesota that can be accessed by Wisconsin residents, would lose all service. 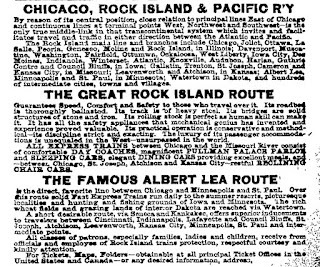 The “Empire Builder” and other famous “name trains” which provide service to over 200 stations coast-to-coast across the country would all fade into history, and with that millions of citizens would lose their most convenient, reliable, and in some cases ONLY intercity travel connection. 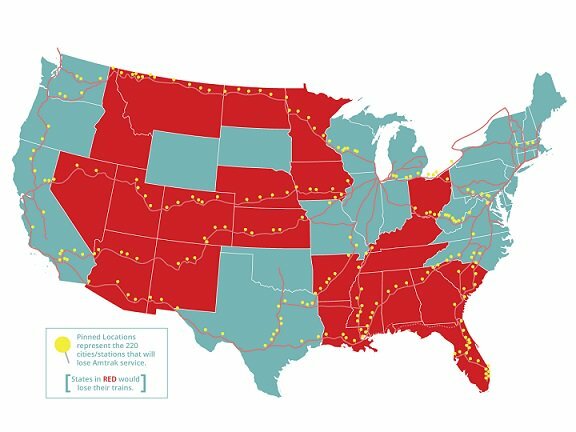 Along with the proposed demise of long-distance intercity trains, the budget proposes to eliminate the “essential air service” program that helps provide commercial airline passenger service to such places as Appleton, Eau Claire, La Crosse, Stevens Point - Wausau and others, further isolating them, and their business communities, from the rest of the country. Finally, federal funding for the capital equipment and facility needs as well as operating assistance for public transit systems across the country is also proposed to be cut. The message seems to be – “get in your car and drive” if you want to go somewhere, and if you can’t drive or choose not-to for whatever reason – “too bad for you”. National Association of Rail Passengers (NARP) Plans “Rally for Trains” on June 23, 24. Now is The Time to Do Your Part to Ensure that it Won’t!! NOW is the Time to Act! !